During a recent outing to a fancy restaurant, Andy Rubin spotted an all-too-familiar tableau: a couple on what seemed to be a first date taking pictures of their food and then losing themselves in their smartphones for the next 10 minutes. Rubin is partly responsible for this antisocial behaviour: he helped create Android, which powers 85% of the world’s smartphones. Rubin acknowledges the downside to the smartphone revolution he helped unleash and says his new hardware company, Essential, is working on ways to solve the tendency to check one’s phone every five minutes. “We all lived happy lives before we had always-on Internet,” he says in an exclusive interview at Playground Global, his Palo Alto, California, incubator. This week marks the debut of Essential’s first gadget. 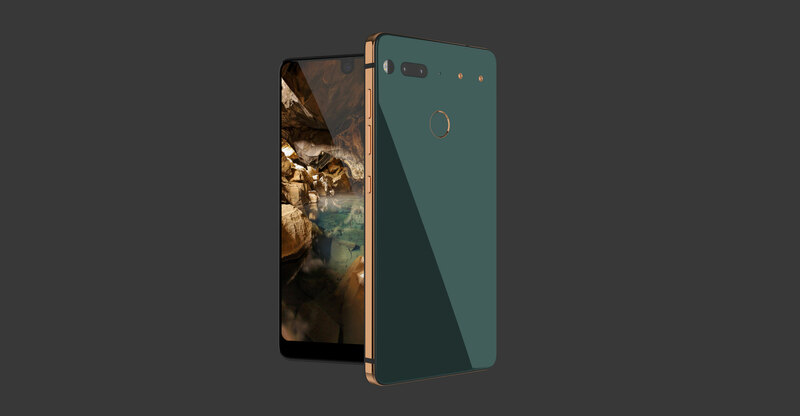 The Essential Phone is an anomaly: a sleek, premium smartphone not designed by Apple, Samsung or a discount Chinese brand. It has a mirrored ceramic back, titanium edges, a display that covers most of the phone’s front and a magnetic connector for a new world of accessories and hardware upgrades that he says will let people hang onto their phones longer. He says it’s best to view Essential’s first phone as a starting point — it runs the same Android OS as Google’s Pixel — not a radical departure. That will come later, he says, and will involve using artificial intelligence to change the way people interact with their devices, in part by outsourcing some of the more tedious tasks to an algorithm. Rubin, 54, has been in the phone game for almost 20 years. In the early 2000s, he spearheaded development of a handset called the Hiptop (later known as the Sidekick) that featured a big screen, full physical keyboard and ran apps. It heralded the coming of the smartphone juggernaut. 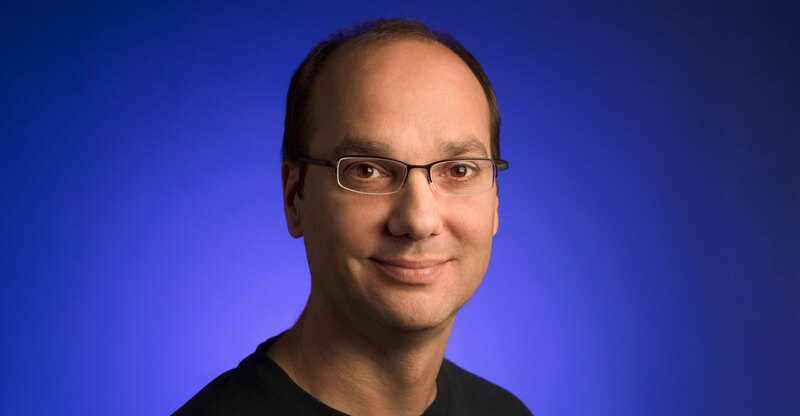 Rubin left in 2003 to start again, creating a mobile software start-up called Android that he sold to Google in 2005. After turning Android into the world’s preeminent operating system, he left three years ago to start work on his third act: Essential. Playground Global comes by its name honestly; the sprawling incubator is filled with jungle-gym-style slides and his personal arcade game collection. Essential is just one of several start-ups. The first phone was designed and tested here. It’s being manufactured in China by Foxconn (which also builds iPhones). Foxconn is an investor and partner, meaning it has a measure of control over the Essential Phone’s future. Rubin views the relationship with the giant contract manufacturer as a two-way street, with each side providing important insights. There are disadvantages. Rubin cites a Sharp phone manufactured by Foxconn with a striking resemblance to Essential’s almost all-screen design. “You should have seen that e-mail!” to Foxconn chairman Terry Gou, he says. One of the most distinctive features of the new phone is the two magnetic pins on the back that can attach to accessories made both by Essential and third-party manufacturers. Essential plans to ship the first six accessories, starting with a 360-degree 4K video camera and an inductive charging dock. For the first time, Rubin reveals two more under development: a gadget that can feed high-quality audio from the phone into a car’s stereo while the phone charges through its main port and what Rubin says is the world’s smallest 3D laser scanner. He won’t reveal what the laser is for, but alludes to the lasers used in self-driving cars to measure the distance between objects. During the interview, Rubin was so excited about the two new accessories, he ran to his office to fetch prototype circuit boards. Rubin says he has a “talented software team that will make the software do what I need it to do to bring some of those AI things to life”. And he may break with the current mania for Siri- or Alexa-style digital assistants; Rubin calls them “yesterday’s idea” but wouldn’t be drawn on what a futuristic user interface might look like. He says AI advances that handle certain tasks for users will show up in Essential’s second main product, a circular Home device. He says owners of the new phone may eventually get some of these innovations. The Essential chief recalls being rear-ended recently by someone texting — a growing problem he says could be solved with artificial intelligence. “The distraction is something that’s solvable if you have a virtual version of you doing stuff while you’re doing more important stuff,” he says. Rubin’s phone is also arriving weeks before Apple and Samsung debut upgrades to their blockbuster products. His former comrades at Google launched their own Pixel phone last year. Moreover, others who left a major company to start their own hardware shops, have struggled. Tony Fadell, Apple’s former iPhone and iPod hardware chief, led smart thermostat company Nest to a US$3bn merger with Google before stepping down last year amid internal turmoil. Jon Rubinstein, another iPod alum, brought the innovative Palm Pre to market in 2009. His company was then shuttered by parent Hewlett-Packard less than three years after a splashy Las Vegas debut. Even Microsoft and BlackBerry, two of the most resourceful companies of recent times, both exited the phone business in recent years.